Selected works from a long-term collaboration between young Brazilians living on the streets of Belo Horizonte and artists Julian Germain, Patricia Azevedo and Murilo Godoy. Using borrowed camera equipment, the young participants document their lives and work with the artists to edit, publish and distribute the results. A vast archive of thousands of photographs and posters produced over seventeen years, charts the participants lives over a period of unprecedented economic expansion in Brazil. The No Olho da Rua (In the Eye of the Street) project shows how photography has been used to intervene in the urban landscape and serves as a powerfully expressive platform for the socially and economically excluded. This project is presented in partnership with Autograph ABP, a major advocate of the project since 2006. Julian Germain, Patricia Azevedo and Murilo Godoy have collaborated on a number of cooperative photography projects in addition to The Beautiful Horizon | No Olho da Rua. No Mundo Maravilhoso do Futebol (1995 – 2002), was a self-funded project with the favela community of Cascalho in Belo Horizonte, Brazil. It incorporated photography, painting and writing, culminating in exhibitions in Brazil and Europe, a book (1998, Basalt publishers) and finally, with proceeds from book sales, the construction of a library and community centre in Cascalho. Wie Ben Jij (2002) was the outcome of a commission from Tolerance Unlimited to work with approximately 100 young people from a variety of different backgrounds in Holland. Images were used in a TV advertising campaign and a booklet published alongside a CD by rap artist Def P.
In 2004 they were commissioned by CulturPorto, Porto, Portugal, to work with a group of 25 children in Vitoria, the deprived historic central district of the city. 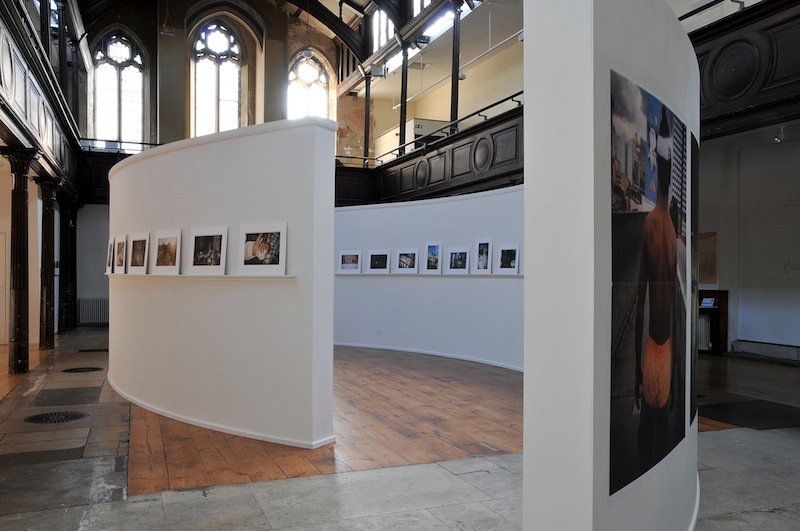 The work involved people of all ages, but especially the old and the young, setting up a series of dialogues, between the past and present, about the district and also about childhood itself. The result was the book Vitoria, Verso y Reverso (2004, Edicoes Afrontamento). This short film by Ben Harding accompanies Fabrica’s autumn 2012 exhibition The Beautiful Horizon. 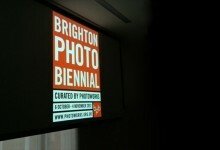 The film features the artists central to the No Olho da Rua project from which the exhibition is drawn (Julian Germain, Patricia Azevedo, Murilo Godoy) and Celia Davies co-curator of the Brighton Photo Biennial of which the exhibition is a part. In the film the artists talk about the development of the film and their relationship with the ‘street kids’ in Belo Horizonte with whom they made the work. Classroom Portraits 2004-2012, his ongoing series about education was recently launched at the Netherlands Fotomuseum, Rotterdam with an accompanying book published by Prestel. He is also on the editorial board of Useful Photography Magazine. Patricia Azevedo is a Brazilian artist based in Belo Horizonte, Brazil, who works in collaborative projects exploring relationships of language, territory and power. 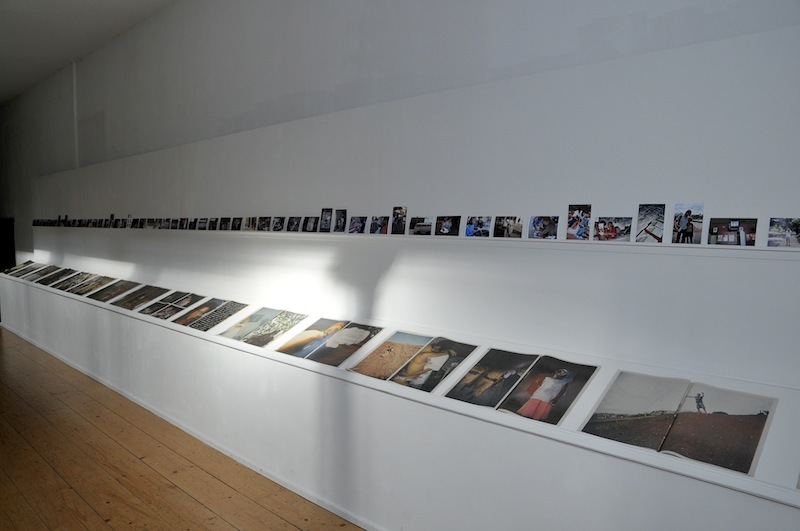 Notable exhibitions include Novas Travessias: Contemporary Brazilian Photography at the Photographers’ Gallery, London, Art in the City III at Industrias Matarazzo, São Paulo. 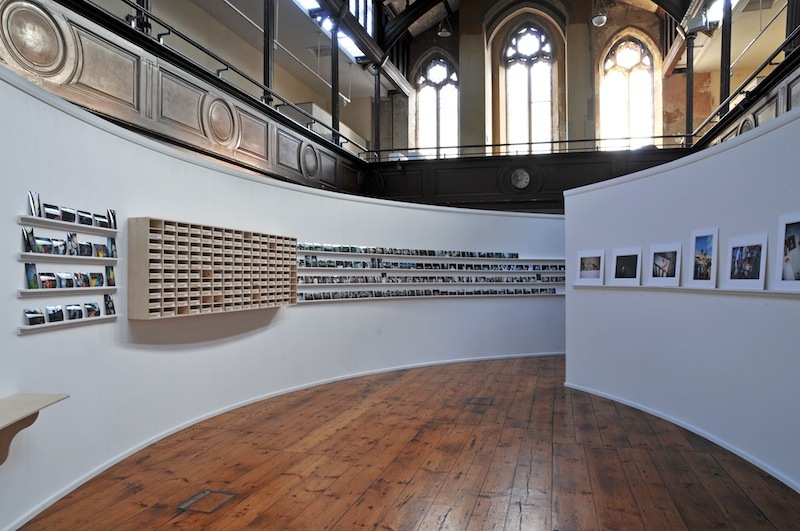 She also collaborates with the British artist Clare Charnley and their joint works have featured in a number of exhibitions, most recently the Northern Art Prize, Leeds City Art Gallery, Bed-in at the Bluecoat Gallery, Liverpool; Exchange Mechanism, Belfast Exposed and Bienaural Nodar, Portugal. Murilo Godoy is a Brazilian graphic designer and photographer based in Belo Horizonte, Brazil. He runs the design agency Flux and has been working for many years on a project to record hand made vernacular signage throughout Brazil. 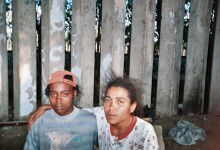 Most of the young people participating in the project have been living on the streets of Belo Horizonte for many years. They lead dangerous and nomadic lives, out in the open, in makeshift huts or under bridges, trees or canopies and sometimes in abandoned houses or factories. They gather together in groups for safety and companionship. They boast about the freedom they have in their ‘street’ lives, doing what they want, when they please. Most of them had left home by the age of nine and by the time they were 13 or 14 already had babies of their own. Mark Sealy, Director of Autograph ABP, interviews Julian Germain, Patricia Azevedo and Murilo Godoy in this 12 page document, illustrated with many images from the project.